“I didn’t even drink wine until I moved to California,” admits Joseph Brinkley, who farmed vegetables in Kentucky and his native Virginia before joining Bonterra as a vineyard manager in August 2013. What he lacked in grape knowledge, however, Brinkley more than made up for with 13 years’ experience in biodynamic agriculture. “It’s about bringing everything into balance – the earth, air, and water,” Brinkley says. 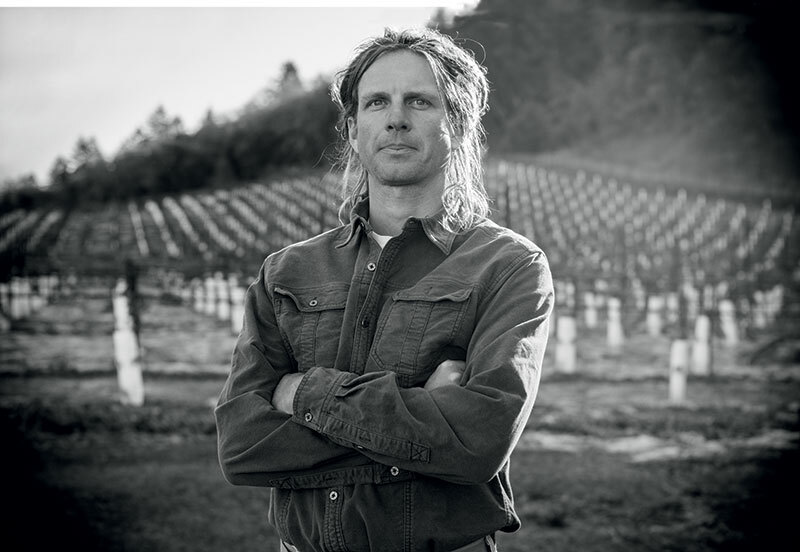 He oversees some 350 acres planted with the vines (Chardonnay, Merlot, Petit Syrah, and others) that supply the organic wine company’s three biodynamic blends: The Butler, The Roost, and The McNab. To “mow” the rows and cut down on tractor passes, diesel use, and emissions, the 35-year-old brings in animals from the nearby Kaos Sheep Outfit. Cover crops add organic matter and nitrogen. Ultimately, the fertility of the vineyard is a circular proposition. Correction: The printed version of this story misspelled Kaos Sheep Outfit. We’ve corrected it here and regret the error.